Physical Sciences faculty are among the most creative and accomplished scientists in numerous areas of discovery. Many of them have their groundbreaking research supported by endowed chairs, which have been generously established by donors to their departments, the Division of Physical Sciences, and the university. McWilliams received his college degrees in Applied Mathematics: a B.S. (with honors) in 1968 from Caltech and a M.S. in 1969 and Ph.D. in 1971 from Harvard. After holding a Research Fellowship in Geophysical Fluid Dynamics at Harvard, he worked in the Oceanography Section at the National Center for Atmospheric Research (NCAR), where he became a Senior Scientist. In 1994 he became the Louis B. Slichter Professor of Earth Sciences in the Department of Atmospheric and Oceanic Sciences and the Institute for Geophysics and Planetary Physics. 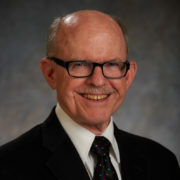 McWilliams’ primary areas of scientific research are the fluid dynamics of Earth’s oceans and atmosphere, both their theory and computational modeling. He helped develop a three-dimensional simulation model of the U.S. West Coast that incorporates physical oceanographic, biogeochemical, and sediment transport aspects of the coastal circulation. This model is being used to interpret coastal phenomena, diagnose historical variability in relation to observational data, and assess future possibilities. He is a fellow of the American Geophysical Union Member of the National Academy of Sciences. Garg received a B.S. in Chemistry from New York University where he did undergraduate research with Professor Marc Walters. During his undergraduate years, he spent several months in Strasbourg, France while conducting research with Professor Mir Wais Hosseini at Université Louis Pasteur as an NSF REU Fellow. Garg obtained his Ph.D. in 2005 from the California Institute of Technology under the direction of Professor Brian Stoltz. He then joined Professor Larry Overman’s research laboratory at the University of California, Irvine as an NIH Postdoctoral Scholar. 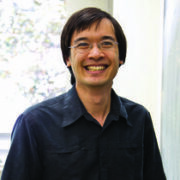 In 2007, he joined the faculty at UCLA and was promoted to associate professor in 2012, then to full professor in 2013. Research in the Garg Laboratory is directed toward the development of synthetic strategies and methods that enable the synthesis of complex bioactive molecules. He is the developer of BACON, a free, online tutorial designed to help connect organic chemistry to topics in human health and pop culture. Garg’s undergraduate organic chemistry course (Chem 14D) is one of the most popular classes at UCLA. It has been ranked ahead of actor James Franco’s class on screenwriting, featured in LA Weekly as one of the best classes in all of Los Angeles, and has been referred to as “UCLA’s Most Beloved Course”. Garg has received accolades for his teaching including the Robert Foster Cherry Award for Great Teaching, the Dreyfus Teacher-Scholar Award, the UCLA Distinguished Teaching Award, the Eby Award for the Art of Teaching, and the UCLA Faculty Gold Shield Prize. In 2015, he was named California’s U.S. Professor of the Year by the Carnegie Foundation for the Advancement of Teaching. Garg has served as vice chair for the Department of Chemistry & Biochemistry and currently serves as Faculty-in-Residence in the UCLA undergraduate community. Feigon received her B.A. from Occidental College and her M.S. and Ph.D. from the University of California, San Diego, where she studied with Dr. David Kearns. Her postdoctoral work was completed at the Massachusetts Institute of Technology, where she was a Damon Runyon-Walter Winchell Cancer Fund Postdoctoral Fellow with Dr. Alexander Rich. Feigon joined the UCLA faculty in the Department of Chemistry & Biochemistry in 1985. She is a member of the UCLA-DOE institute of Genomics and Proteomics, the Molecular Biology Institute, and the California Nanosystems Institute. Her lab studies the structure and function of RNA and ribonucleoprotein complexes (RNPs). Structural and dynamics information is correlated with function using a variety of biochemical and molecular biological techniques, to provide insight into how these nucleic acids and nucleic acid-protein complexes work in the cell and how mutations in RNA can lead to disease. 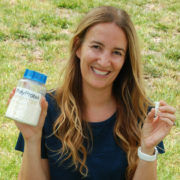 Feigon is a recipient of the Dupont Young Faculty Award, National Science Foundation Presidential Young Investigator Award, Glenn T. Seaborg Research Award, Herbert Newby McCoy Research Award, is a Fellow of the American Association for the Advancement of Science and a Member of the National Academy of Sciences. Eisenberg is a professor of Chemistry & Biochemistry and Biological Chemistry, as well as HHMI Investigator and Director of the UCLA-DOE Institute for Genomics and Proteomics. He earned an A.B. in Biochemical Sciences from Harvard College and a D.Phil. from Oxford University in Theoretical Chemistry on a Rhodes Scholarship. After postdoctoral study at Princeton University on water and hydrogen bonding and at Caltech on protein crystallography, he joined the faculty at UCLA. Eisenberg studies protein interactions by X-ray crystallography, bioinformatics, and biochemistry, with an emphasis on amyloid-forming proteins. His current goal is to develop inhibitors of formation of the amyloid proteins that cause human diseases, including Alzheimer’s and Parkinson’s. This recently recognized protein state offers opportunities to understand cells in health and disease, and in synthesizing new materials and in understanding processes as diverse as biofilms and corrosion. He has published over 300 papers and reviews, and holds half a dozen patents. 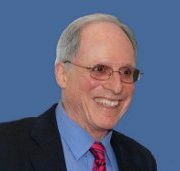 His awards include the UCLA Distinguished Teaching Award, John Simon Guggenheim Fellowship, the UCLA Faculty Research Lectureship, the Stein and Moore Award of the Protein Society, the ACS Faculty Mentoring Award, and membership in the National Academy of Sciences, the American Academy of Arts and Sciences, the American Philosophical Society, and the Institute of Medicine. The Boyer Chair was established by Dr. James and Mrs. Joan Peter in honor of Dr. Peter’s mentor and cherished friend, Prof. Paul D. Boyer. The 1997 Nobel Laureate in Chemistry, Boyer was the inaugural chair holder and is current a Professor Emeritus in the Department of Chemistry & Biochemistry. Harran was raised in upstate New York and trained in chemistry at Skidmore College. He attended Yale University for graduate studies and completed an NIH sponsored postdoctoral fellowship at Stanford University. Harran began his independent career at the University of Texas Southwestern Medical Center. There he helped build a nationally recognized program in organic chemistry and was named the Mar Nell and F. Andrew Bell Distinguished Chair in Biochemistry. In 2008, he accepted the inaugural Donald J. & Jane M. Cram Chair in Organic Chemistry at UCLA. Harran’s lab studies architectural aspects of building molecules through exercises in total synthesis, the development of reactions and processes, and in attempts to generally emulate small-molecule biosynthetic schemes. His lab seeks to create new structures in new ways, and for those molecules to have valuable biological functions. Harran is the recipient of the Herbert Newby McCoy Award, the Hanson-Dow Award for Excellence in Teaching, Alpha Chi Sigma’s Glenn T. Seaborg Award, the Norman Hackerman Prize of the Robert A. Welch Foundation, the E. Bright Wilson Prize from Harvard University, the Pfizer Award for Creativity in Organic Synthesis, and the National Science Foundation CAREER Award. He was selected as an Alfred P. Sloan Research Fellow. 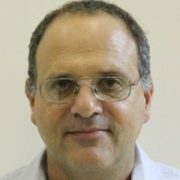 Weiss received his PhD in Electrical Engineering from the Technion in Israel. After a year of postdoctoral research in AT&T Bell Laboratories, he was hired by Lawrence Berkeley National Laboratory as a staff Scientist. In 2001 he joined the departments of Chemistry & Biochemistry and Physiology at UCLA. He is also a member of the California NanoSystems Institute. 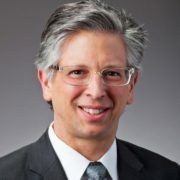 Weiss is one of the world’s leading chemists in the use of single-molecule techniques, especially in the study of biological molecules, and has developed instrumentation and methodologies to study single biomolecules. His group at UCLA is enhancing understanding of proteins using state-of-the-science technologies known as fluorescence spectroscopy, fluorescence microscopy and biological imaging. His research team also studies enzymes, a class of proteins that are vital for catalyzing other biochemical reactions necessary for life. Honors Weiss has received include the Rothschild Fellowship, Royal College of Physicians London Rank Prize, Michael and Kate Barany Biophysical Society Award, and the Director Outstanding Performance Award from Lawrence Berkeley Laboratory. He is a Optical Society of America Fellow and a member of the American Association for the Advancement of Science, the American Chemical Society, the American Physical Society, and the Biophysical Society. 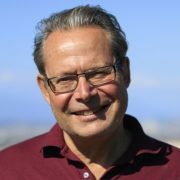 Maynard is a professor of organic chemistry at UCLA, Director of the Chemistry Biology Interface Training Program, and Associate Director of Technology and Development for the California NanoSystems Institute. She was recently selected to receive the Arthur C. Cope Scholar Award from the American Chemical Society (ACS) and has been selected as an Outstanding Emerging Investigator by the Journal of Materials Chemistry. 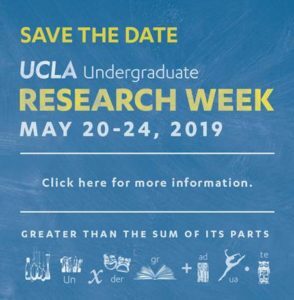 Additionally, she has received the Amgen New Faculty Award, Seaborg Award, NSF Career Award, Seaborg Award for Outstanding Research, the Hanson-Dow Award for Excellence in Teaching, an Alfred P. Sloan Fellowship, and the Herbert Newby Award for Outstanding Research at UCLA. Maynard is an ACS POLY, ACS PMSE, Leverhulme, Kavli Frontiers, and Royal Society of Chemistry Fellow, was a Fulbright Specialist in New Zealand in 2017, and is currently a member of the US Defense Science Study Group. “As a proud Bruin, I am delighted to give back to the university and the department that gave me the foundation for my success,” said Dr. Hong about his gift establishing the chair. Kaner received his Ph.D. in inorganic chemistry from the University of Pennsylvania. After carrying out postdoctoral research at the University of California, Berkeley, he joined UCLA in 1987. Kaner holds a joint appointment in the Department of Chemistry & Biochemistry as well as in the Department of Materials Science & Engineering. 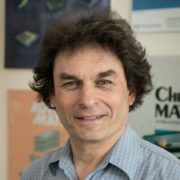 Kaner has received awards from the Dreyfus, Fulbright, Guggenheim, Packard and Sloan Foundations, as well as the Exxon Fellowship in Solid State Chemistry and the Buck−Whitney Research Award from the American Chemical Society for his work on refractory materials, including new synthetic routes to ceramics, intercalation compounds, superhard materials, graphene, and conducting polymers. Kaner is a Fellow of the American Association for the Advancement of Science, the American Chemical Society (ACS), the Materials Research Society and the Royal Society of Chemistry. He also serves as Associate Editor for Materials Research Bulletin. Additional honors Kaner has received include the National Science Foundation Presidential Young Investigator Award, the ACS Tolman Medal, the ACS Award in the Chemistry of Materials, the Materials Research Society Medal and the UCLA Gold Shield Faculty Prize. Weiss received his S.B. and S.M. degrees in chemistry from MIT and his Ph.D. in chemistry from the University of California at Berkeley. From 2009-2014, Weiss was Director of the California NanoSystems Institute, Distinguished Professor of Chemistry & Biochemistry and Materials Science & Engineering at UCLA, and Fred Kavli Chair in NanoSystems Sciences. Before coming to UCLA in 2009, Weiss was a Distinguished Professor of Chemistry and Physics at the Pennsylvania State University. Weiss’s interdisciplinary research group includes chemists, physicists, biologists, materials scientists, electrical and mechanical engineers, computer scientists, mathematicians, and physician scientists. Their work focuses on the ultimate limits of miniaturization and how nanoscience and nanotechnology can be applied to other fields, including neuroscience, microbiome studies, and gene editing. Weiss and his students have developed new techniques to expand the applicability and chemical specificity of scanning probe microscopies. They have applied these and other tools to the study of catalysis, self- and directed assembly, biological systems, and molecular and nanoscale electronics. They work to advance nanofabrication down to ever smaller scales and greater chemical specificity in order to connect, to operate, and to test molecular devices, as well as to control the physical, chemical, and biological properties of materials. Weiss has written over 400 publications, holds over 30 patents, and has given over 700 invited, plenary, keynote, and named lectures. He is the recipient of the American Chemical Society (ACS) Nobel Laureate Signature Award for Graduate Education in Chemistry, the ACS Award in Colloid and Surface Chemistry, the ACS Patterson-Crane Award, and the ACS Tolman Medal. He is a fellow of: the American Association for the Advancement of Science, the American Physical Society, the American Vacuum Society, the ACS, the American Academy of Arts and Sciences, the American Institute for Medical and Biological Engineering, and the Canadian Academy of Engineering, as well as an honorary fellow of the Chinese Chemical Society. Ken Houk is an authority on computational chemistry. He studied at Harvard for his A.B. and Ph.D. degrees, receiving his Ph.D. in experimental organic chemistry with the legendary R. B. Woodward. In 1968, he joined the faculty at Louisiana State University and moved then to the University of Pittsburgh in 1980. In 1986, he moved to UCLA, becoming a Distinguished Professor in 1987 and the Saul Winstein Chair of Organic Chemistry in 2009. In 2016, he became the Saul Winstein Distinguished Research Chair in Organic Chemistry. Houk’s lab studies chemical and biochemical reactions using quantum mechanics and molecular dynamics to simulate and analyze how reactions occur. He collaborates with many faculty at UCLA and all over the world, exploring reactivity and selectivity phenomena and designing new reagents and catalysts. From 1988-1990, Houk was Director of the Chemistry Division of the National Science Foundation. He was Chairman of the UCLA Department of Chemistry & Biochemistry from 1991-1994 and was Chair of the AAAS Chemistry Section in 2005. Houk is a Member of the National Academy of Sciences and a Fellow of the American Academy of Arts and Sciences, the American Association for the Advancement of Science, the World Association of Theoretical and Computational Chemists (WATOC), and the American Chemical Society. 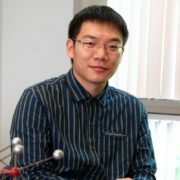 He has been awarded a number of national awards, including the American Chemical Society Arthur C. Cope Scholar Award, the James Flack Norris Award in Physical Organic Chemistry, the Arthur C. Cope Award, the Robert Robinson Award of the Royal Society of Chemistry, WATOC’s Schrödinger Medal, and UCLA’s Seaborg Medal. He has published more than 1200 articles in refereed journals. Kosuri received his B.S. in Bioengineering at UC Berkeley, and his Sc.D. in Biological Engineering at MIT in Drew Endy’s lab, where he worked on systems and synthetic biology approaches to understanding the gene expression programs of bacteriophage T7. He was the first employee of an early stage biofuels startup before going to Harvard University and Wyss Institute working with Prof. George Church. There he helped develop a number of technologies in DNA synthesis, gene editing, and functional genomics and applied them to better understand and engineer bacterial gene expression. 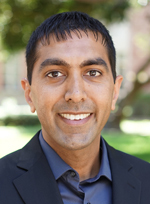 He joined the faculty at UCLA as an assistant professor in 2014. Kosuri’s lab develops methods to vastly increase our ability to empirically explore relationships between DNA sequence and biological function. We do this by developing and combining three related technologies: DNA synthesis, DNA sequencing, and genome engineering. We use these technologies to study a number of biological problems including gene regulation, protein structure/function, and protein-ligand interactions. Kosuri’s work has been funded by the NSF, DOE, and the NIH. In 2014 he was named an NIH DIrector’s New Innovator award recipient, and in 2015, he was named a Searle Scholar. Liu earned his B.S. in chemistry from Fudan University in China and a Ph. D in chemistry from the University of California, Berkeley, under the supervision of Prof. Peidong Yang. His thesis focused on artificial photosynthesis that uses solar energy to synthesize selective chemicals. At Harvard University, he worked with Prof. Daniel Nocera as a Lee Kuan Yew postdoctoral fellow sponsored by Nanyang Technological University, Singapore. There, Liu strived to develop inorganic/bio hybrid systems of solar-driven CO2 and N2 fixation with the efficiencies higher than natural counterparts. Liu joined the Department of Chemistry & Biochemistry in 2017. His research group is an inorganic chemistry lab with specific interests in electrochemical systems for energy, biology, and environments. Combining expertise in inorganic chemistry, nanomaterials, and electrochemistry, the group aims to address some of the challenging questions in catalysis, energy conversion, CO2/N2 fixation, and microbiota. The research focus includes advanced bioelectrochemical systems of CO2/N2 fixation as well as electrochemical nanodevices enabling the study of biological, medical, environmental applications. Liu was named by Science News as one of 10 Scientists to Watch for his work on artificial photosynthesis. 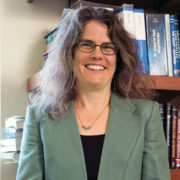 Sletten received her BS in Chemistry from Stonehill College and her Ph.D. from the University of California, Berkeley, under Prof. Carolyn Bertozzi, where her thesis work involved the optimization and development of bioorthogonal chemistries and their subsequent applications in labeling living systems. Sletten was an NIH Postdoctoral Fellow in the laboratory of Prof. Tim Swager at the Massachusetts Institute of Technology. She joined the faculty at UCLA as an assistant professor and the John T. McTague Career Development Chair in 2015. 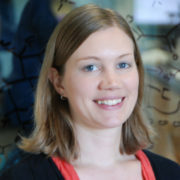 Sletten’s group exploits the unique properties of fluorinated materials to develop diagnostic and therapeutic technologies. Research within the group encompasses an interdisciplinary mix of organic synthesis, fluorous chemistry, chemical biology, nanoscience, supramolecular chemistry, polymer synthesis, photophysics and pharmacology. Sletten was named an American Chemical Society Petroleum Research Fund New Doctoral Investigator in 2016 and received a Ruth L. Kirschstein National Research Service Award in 2012. Rodriguez is a true Bruin. He received both his B.S. in BioPhysics and his Ph.D. in Molecular Biology from UCLA. His lab studies the complex architecture of biological systems – from single biomolecules to cellular assemblies – at high resolution. 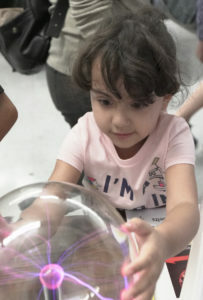 Rodriguez’s work is largely based on diffraction phenomena and combines computational, biochemical and biophysical experiments. The development of new methods is central to this work, particularly using emerging technologies in cryo-electron microscopy, nano and coherent x-ray diffraction, and macromolecular design. Combined, these tools can reveal undiscovered structures that broadly influence chemistry, biology, and medicine. 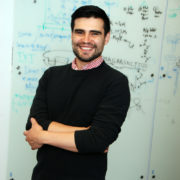 In 2017, Rodriguez was named a Searle Scholar, awarded funding to support his work exploring the atomic scale interrogation of protein nano-assemblies within living systems. He was also selected as a 2017 Beckman Young Investigator by the Arnold and Mabel Beckman Foundation, receiving funding to improve understanding and application of advanced electron microscopy methods including electron diffraction for the purposes of revealing new and important macromolecular structures and informing of their function. Meng received his BSc in Geosciences from Nanjing University and his Msc and Ph.D. in Geophysics from California Institute of Technology. His research is focused on earthquake physics, where he uses both observational and numerical approaches for problem solving. He has developed advanced source imaging techniques with applications on recent large earthquakes, such as the 2010 Haiti and Chilean, the 2011 Tohoku-Oki, the 2012 off-Sumatra and the 2013 Okhotsk deep-focus earthquakes. The observational constraint from such fine imaging allows Meng to conduct dynamic simulations to address open questions in earthquake physics. He is also interested in mitigating seismic and tsunami hazard through Earthquake Early Warning (EEW) and is developing a next-generation EEW system composed of small-scale seismic arrays that track the rupture growth and directivity effect in real time. Meng applies novel numerical approaches in other problems of earth science, such as developing new techniques to quantify the marine magnetic anomaly patterns. In 2015, Meng was named a UCLA Hellman Fellow. He received a Frontiers in Geochemistry Fellowship, a Best Young Scientist Award from the Comprehensive Nuclear-Test-Ban Treaty Organization, and a Student Presentation Award from the Seismological Society of America. Lithgow-Bertelloni joins the UCLA faculty in Earth, Planetary, and Space Sciences in July 2018. She received her B.S. in Geology from the University of Puerto Rico and completed her Ph.D. at the University of California, Berkeley. She then moved on to a postdoc at Institut für Geophysik; the Department of Terrestrial Magnetism as an NSF postdoctoral fellow; and faculty positions at University of Michigan and University College London. Lithgow-Bertelloni has a long-standing interest in the global inner workings of the Earth and how they manifest themselves at the surface, via plate motions, topography or even climate change and evolution. She has conducted and instigated research integrating past geological and geophysical observations (plate motions, topography, sedimentary basin sequences) with dynamical models of Earth’s mantle. She also co-developed a fully self-consistent thermodynamic model to predict mantle properties. Her honors include the David and Lucile Packard Fellowship for Science and Engineering, an Elizabeth Crosby Research Award from the National Science Foundation, and an Alfred P. Sloan Foundation Fellowship. 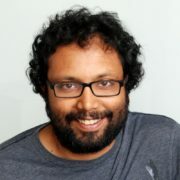 Kareiva received his bachelor’s degree in political science and zoology at Duke University, and did his graduate studies in ecology and applied mathematics at Cornell University. After receiving his PhD in 1981, Kareiva immediately joined the faculty in Biology and in Applied Mathematics at Brown University. He then moved to University of Washington’s Zoology Department for fifteen years, where his research ranged from mathematical biology, to insect ecology, to biotechnology risk assessment, agricultural ecology, and conservation. His next job was at the Northwest Fisheries Science Center of NOAA, where he led a group concerned with salmon management and conservation.From NOAA, Kareiva moved to The Nature Conservancy (TNC), the world’s largest environmental NGO. There he became the Vice President of Science, and led a shift towards protecting nature for the benefit of people, as well as working with the private sector to advance conservation goals. In 2015 Kareiva moved to UCLA. His current research concerns the connection between humans and nature, and the varied ways people of different cultures value nature. His research seeks to identify strategies for urban sustainability that do not disadvantage minority or vulnerable communities. Kareiva works hard to communicate science in a way that is useful to decision-makers, business leaders, and the public. Kareiva is a Fellow of the American Academy of Arts and Sciences and a member of The National Academy of Sciences. He is the author of more than 150 scientific publications and author or editor of eight books, including several textbooks. His most recent book (2017), Effective Conservation Science: Data not Dogma, challenges environmental scientists to question received wisdom, and look to their data for surprises and new ideas that could be key to sustainability. 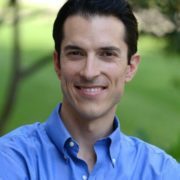 Barreca joined UCLA’s Institute of the Environment and Sustainability as an Associate Professor in 2017. He earned a Ph.D. in Economics from University of California, Davis, in 2008. Barreca mainly investigates the reasons why people living in certain climates have more economic advantages and better health than others. His ongoing research has helped identify ways we can mitigate both the costs of weather shocks today and the future costs of climate change. Barreca’s research has broad public appeal and has received media coverage from CNN, Bloomberg, Huffington Post, Mashable, The Independent, CityLab, Reuters, The New York Times, and Washington Post. His research on the fertility costs of climate change was even roasted by Stephen Colbert on The Late Show. Barreca has published articles in peer-reviewed science journals including the Journal of Political Economy, Quarterly Journal of Economics, Journal of Environmental Economics & Management, American Journal of Epidemiology, and Journal of Human Resources. He is a member of the National Bureau of Economic Research (NBER) and Institute for the Study of Labor (IZA). Eagle received his B.Sc in Molecular Biology and Biochemistry University of Durham and his Ph.D. in Natural Sciences from University of Cambridge, where he was also a postdoctoral researcher before becoming a postdoctoral fellow and scholar at California Institute of Technology. Eagle’s group performs interdisciplinary work drawing on elements of biology, oceanography, geology, and climate science. Current research is centered on two themes that are related: (1) the biology of organisms and its response to changing environmental conditions, and (2) the history of climate and the evolution of environments over time, including links to the evolution of life and biomineralization. The motivating questions guiding Eagle’s research include: How does the physical environment influence the biology of organisms? Can we design experiments to understand which species are most vulnerable to changing ocean conditions? 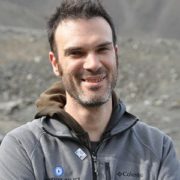 In addition to his appointment at UCLA, he is also a visiting associate professor at University of Copenhagen’s Natural History Museum and a visiting researcher with the European Institute of Marine Sciences at University of Western Brittany where he was awarded the LabEx Mer International Chair in Ocean Acidification. Bertozzi completed all her degrees in Mathematics at Princeton. 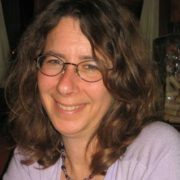 She was an L. E. Dickson Instructor and NSF Postdoctoral Fellow at the University of Chicago from 1991-1995. At Duke University, she was a professor of Mathematics and Physics and the Director of the Center for Nonlinear and Complex Systems. 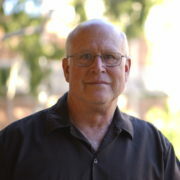 Bertozzi moved to UCLA in 2003 as a Professor of Mathematics. Since 2005 she has served as Director of Applied Mathematics, overseeing the graduate and undergraduate research training programs at UCLA. 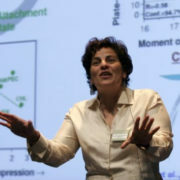 Bertozzi is a Thomson-Reuters Highly Cited Researcher in mathematics, one of about 100 worldwide in her field. 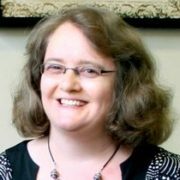 She has served on the editorial boards of journals including SIAM Review, Applied Mathematics Research Express (Oxford Press), Communications in Mathematical Sciences, Journal of Nonlinear Science, Journal of Statistical Physics, Nonlinear Analysis Real World Applications; and the Journal of the American Mathematical Society. She served as Chair of the Science Board of the NSF Institute for Computational and Experimental Research in Mathematics, on the board of the Banff International Research Station, and on the Science Advisory Committee of the Mathematical Sciences Research Institute at Berkeley. Her honors include the Sloan Research Fellowship, the Presidential Early Career Award for Scientists and Engineers, and the Society of Industrial and Applied Mathematic (SIAM) Kovalevsky Prize. She is a member of the American Academy of Arts and Sciences, and a fellow of SIAM, of the American Mathematical Society, and of the American Physical Society. Tao has been a professor of mathematics at UCLA since 1999, after completing his Ph.D. under Elias Stein at Princeton in 1996. 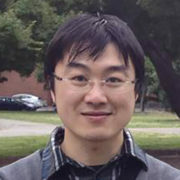 Tao’s areas of research include harmonic analysis, PDE, combinatorics, and number theory. He has received a number of awards, including the Salem Prize in 2000, the Bochner Prize in 2002, the Fields Medal in 2006, the MacArthur Fellowship in 2007, the Waterman Award in 2008, the Nemmers Prize in 2010, the Crafoord prize in 2012, and the Breakthrough Prize in Mathematics in 2015. Tao is a Fellow of the Royal Society, the Australian Academy of Sciences (Corresponding Member), the National Academy of Sciences (Foreign member), and the American Academy of Arts and Sciences. Beginning his life in Mumbai, India, Khare went on to complete an undergraduate degree at Trinity College Cambridge. 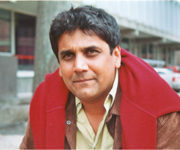 He started his career at the Tata Institute of Fundamental Research, Mumbai, before coming to UCLA. Khare has made significant advances in the study of the relationship between Galois representations and modular forms, which relate to the study of whole numbers. His skill is in finding ingenious but relatively simple new ideas in these areas. Khare worked alongside Jean-Pierre Wintenberger to prove a mathematical theory named Serre’s conjecture, when the proof was originally considered out of reach. In 2011, they jointly received the Cole Prize in number theory for their work. In 2012, Khare became a Fellow of the Royal Society as well as a fellow of the American Mathematical Society. Ghez earned her B.S. in Physics from MIT in 1987 and her Ph.D. from Caltech in 1992, and has been on the faculty in the Department of Physics and Astronomy at UCLA since 1994. A world-leading expert in observational astrophysics, Ghez has used the Keck telescopes to suggest the existence of a supermassive black hole at the center of our galaxy, with a mass 4 million times that of our sun. She is currently using and developing high spatial resolution imaging techniques to study star formation and investigate the proposed massive black hole. Using Interferometric techniques and Adaptive Optics, Ghez has been able to produce diffraction-limited images of astronomical objects that has up to the development of Adaptive Optics been impossible to observe with ground based telescopes. Ghez has received numerous honors and awards including being the first woman to receive the Crafoord Prize, receiving the MacArthur Fellowship , and being elected to the National Academy of Sciences and the American Academy of Arts & Sciences. She has also served on committees for NASA, the National Science Foundation, and the National Academies of Science, among others. She has actively disseminated her work to a wide variety of audiences through more than 100 refereed papers and 200 invited talks, as well as features in textbooks, documentaries, and science exhibits. Endowed chairs are a critical resource for our departments. These positions attract and retain top-quality faculty for our students to learn from and work alongside on scientific research that addresses the world’s greatest needs and humanity’s drive for exploration. To find out how you can contribute to an endowed chair, please contact Brooke Sanders, senior director of development, at 310-794-9045 or bsanders@support.ucla.edu.